I’ve got a license, now what? Week Seven . . .
Geomagnetic Storm Watch . . .
Tower Work – Complete . . .
ARRL Letter – 10/22/2015 . . .
I’ve got a license, now what? Last week I shared EVERYTHING you need to know about “mobile radio resources”. Well, for sure, I gave one great resource. It’s enough to keep you busy fixing your installs. This week, I’ll point you to some resources for using your VHF/UHF radios to ‘talk over the horizon’. In some cases it not as mysterious as it sounds. Especially if you are using SSB on 2 meter, you can talk MUCH further using that mode than you could ever hope to using FM. But besides that, there are other ways to talk “over the horizon” even using FM. The first link is basic, and something that you’ve already done, but you may be thinking about could you have done it better. The answer is “maybe”, or “maybe not”. But here are one ham’s thoughs on choosing your first VHF/UHF radios. This next link is how to go about making your first contact either on a repeater or without the use of a repeater – what to do, how to do it – every bit of this is great advice! And this last one is for working REALLY FAR over the horizon. Using your VHF/UHF radios to work through Amateur Satellites. Yep, don’t be so surprised. You are a brand spanking new Ham – you haven’t even worn your license slick fondling it yet – but you have all the privileges you need to work Amateur satellites. Here is just one of the many great resources that will get you down the road to being an Amateur Satellite Ninja. Next week, I’ll share some resources regarding digital modes. And if you have a question you’d like answered about anything in the World of Amateur Radio, send it to me at W5NOR@w5nor.org. If I don’t know the answer, I’ll find someone who does! A G3 (Strong) geomagnetic storm watch has been issued (may be underway as you read this) for 02 November (UTC day) and a G2 (Moderate) watch has been issued for 03 November as a recurrent coronal hole high speed stream is expected to disturb the Earth’s magnetic field. This particular feature was associated with G3 conditions last rotation. The image is a 30 day plot of the solar wind as it was seen at the STEREO spacecraft. The high speed stream passed by the spacecraft on the backside of the Sun on 20 October. This gives forecasters a good estimate of when to expect the coronal hole to impact the Earth as well as possible solar wind speeds we might see. To learn more about coronal holes, check out http://www.swpc.noaa.gov/phenomena/coronal-holes . 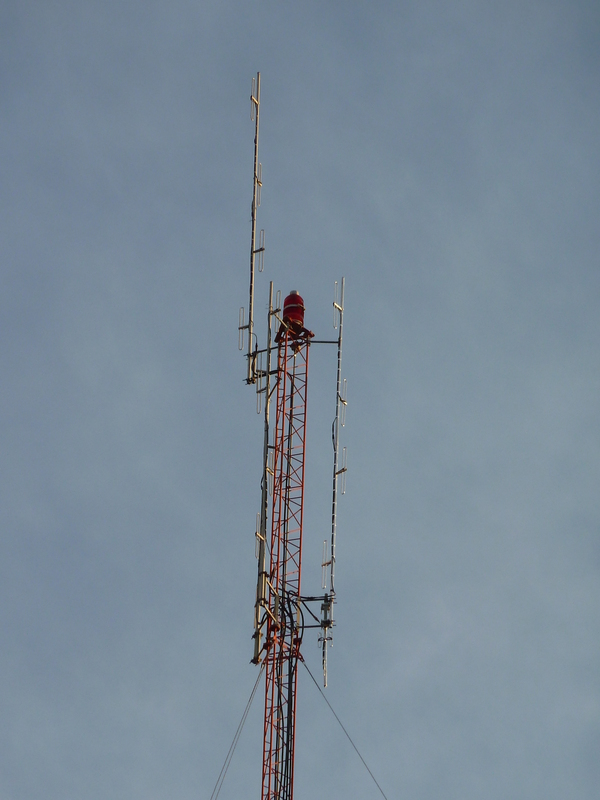 Thanks to the Major Players N5UWY, N5HZR, KD5UGO, KB5LSB, KJ7EFF, and several who played supporting roles, the antenna and feedline replacement has finished at the east Norman repeater site. We still need to get the APRS system back online when possible, and install the new equipment at the in-town receiver site after football season. There may be some minor adjustments from time to time, but the hard work is now done. Be sure to thank Peter, Mark, Phil, John, and Jeff when you see them! It’s ARRL November Sweepstakes Season! The October 28th Edition of Ham Nation was titled “It’s all about Shortwave”. As always, banter, news, and another really interesting subject!